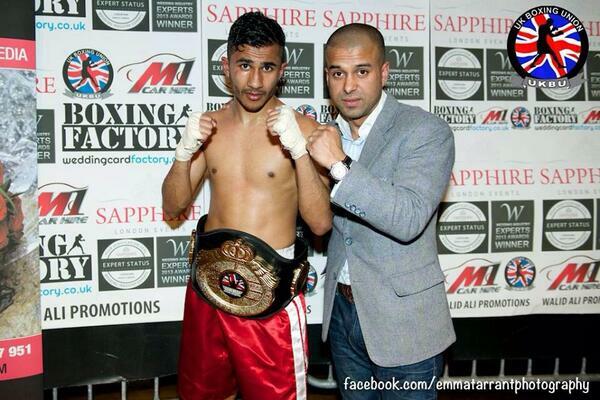 Featherweight Emran Hussain has revealed he was carrying an injury in his last outing which resulted in the young fighter conceding the first draw of his career. Having impressed on his debut against Ricky Leach in April before succumbing to a dubious decision in early December on British Warriors show. The 25-year-old is back out in March after admitting his coach Alec Wilkey told him to take some time off over Christmas to recover both mentally and physically. “I had 3 camps back to back before my fight in Dec (due to 2 fights being cancelled) so I did need the time off to to recover in all fairness. “I also had a hand injury going into my fight in December which obviously then was aggravated more so I needed the time off. The prospect is more determined than ever after suffering his first set back in what has been a successful yet unorthodox transition in to the paid ranks. “I was happy with my performance in my debut but not so much in my 2nd fight,” he continued. “I feel as if I underperformed and didn’t box to even 50% of my ability. Granted I had a very tough opponent but I boxed terribly and am determined to make up for it in 2018.